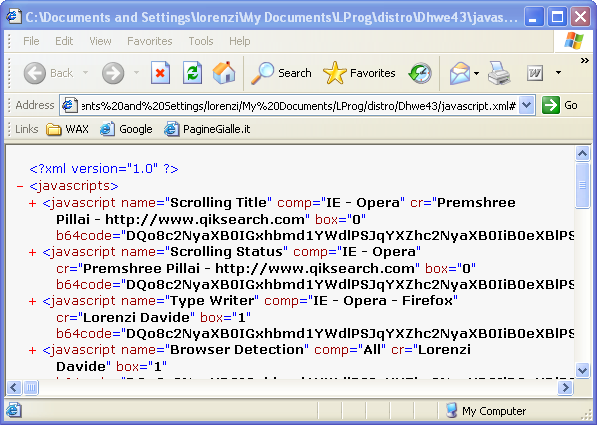 Actually there isn't a method to insert new scripts into this tool; this giude will explain you how to do this. If anyone has the time to create the tool for us please let me know and I'll include it in the next release of the program. This file is located into the installation folder of the program; if you are running Windows Vista you may need administrative rights in order to modify it. 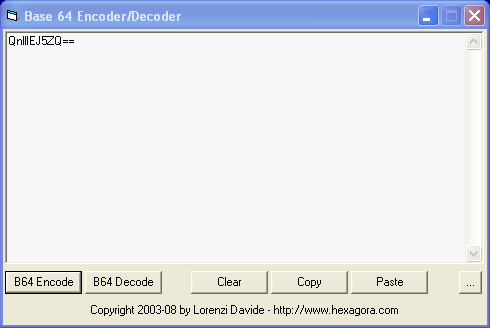 the file will contain binary data as defined in the b64code attribute. 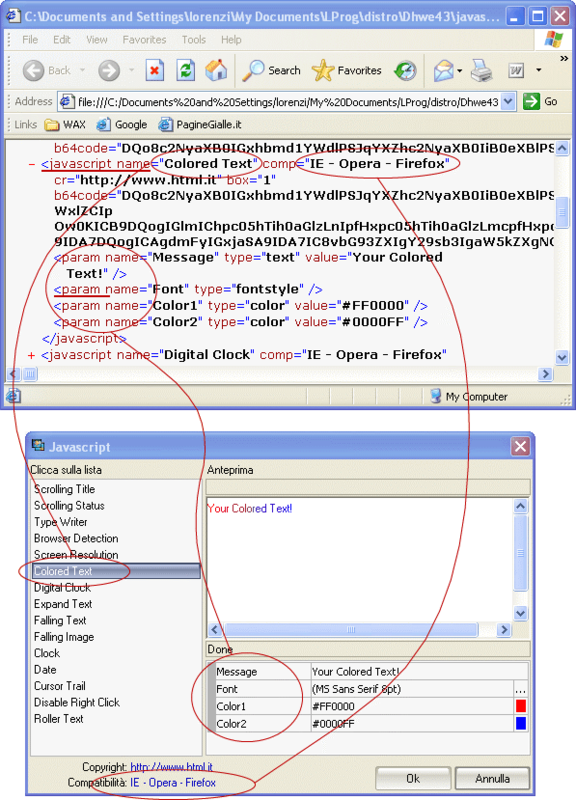 This program permits you to convert text or files to Base64 and vice-versa. Download it here. Try and modify it as you want by using an HTML object. Now if we want we can create parameters for this script, for example changing the delay time for the color transition. Simply change the 0.5 value to the Parameter name #Delay Time#. Delay Time will be the name of the parameter added to the XML.